Our mind have five different Cognitive areas which defines for IQ. These areas are "Problem Solving", Memory, Attention, Flexibility and Speed. Out of these Problem Solving contributes maximum to the the brain ability. Logical puzzles test one's problem solving ability and attention. Here on "Fun With Puzzles" we have large number of different brain teasers. 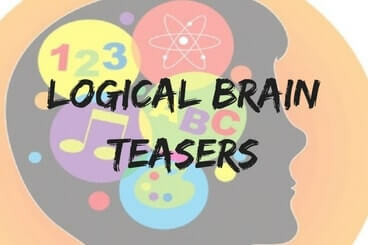 Here below I am posting links to these Logical Reasoning Brain Teasers. These are arranged in chronological order. It means that latest post comes on the top of the list.